We are your local plan room in Missoula, MT. Please visit “Become a Member” to complete the application package online. Membership to the Online Plan Service is $325.00 / year (updated instantaneously). There is a $25.00 enrollment fee for all new members. The Plans Exchange membership is restricted to a single business and their employees only: Not suppliers or subcontractors doing business with a member. Any violations of this rule will result in membership termination. MPE’s Online Plan Service allows members to view, print and download plans, specification, addenda and planholder lists from your computer. You can order large format plans to be picked up at your convenience at the MPE office or shipped direct to you via UPS. Montana notaries public hold an important office of public trust. The notary serves Montana’s citizens and businesses by ensuring the validity of signatures on documents. MPE has Notary Services available to our members, free of charge, by appointment. Emailed in .pdf format every Friday and includes comprehensive project listing of jobs bidding, classified ads, events, conferences, and member advertisements. Our Plan Room is open from 8:00 AM - 5:00 PM, Monday through Friday for your convenience (excluding major Holidays). 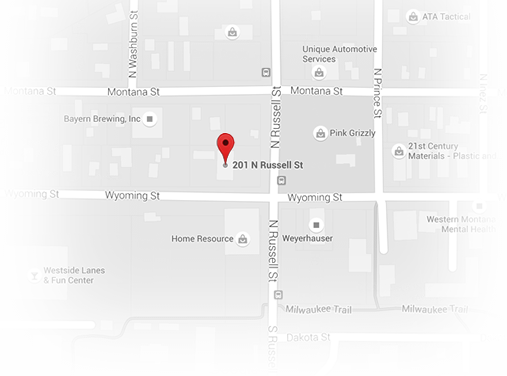 You must be a member of the Missoula Plans Exchange to use our facility. Free Wi-Fi is available. See the front desk for Instructions. Any member that disseminates information, in any form, to a non-member may risk losing their membership within the Missoula Plans Exchange. We ask that all visitors to the MPE office sign-in at the front desk prior to using the Plans Exchange. This is to ensure that only members are using the exchange and this gives the MPE staff a chance to familiarize themselves with the members. Remember...the plans are on loan to the Exchange, so let's exercise care when using them. If damage does occur to the plans, let us know so that we can mend or make a copy of the damaged page(s). Plans & specifications may not be marked on or defaced in any manner at any time. Library of other Exchanges weekly bulletins are available for your use among other industry magazines. Plans may be reserved for overnight or weekend use. They are reserved on a first come, first serve basis. Pickup time is 4:30 PM. Return deadline is 8:30 AM the next business day (NO EXCEPTIONS). Limit 3 sets of plan, per member, per evening. We have a lockbox for your use. By entering your company's 4-digit code you will have access to the box. Please contact the MPE for your 4-digit code. If you have a set of plans on reserve for check out overnight and are unavailable to pick them up, please notify the Missoula Plans Exchange as soon as possible, as others may want to check out the same set of plans. Remember...the plans are on loan to the Exchange, so let's exercise care when using them. If damage does occur to the plans, let us know so that we can mend or make a copy of the damaged page(s). The Missoula Plans Exchange has 6 office suites (approximately 140 square feet) available for long term lease. Please contact the Missoula Plans Exchange for more information. We currently do not have any suites available for rent. We appreciate any comments or suggestions to improve our facilities and/or our services. All invoices are due and payable upon receipt. We accept American Express, Discover Card, MasterCard and Visa credit cards through SQUARE payment processing. Your membership dues are billed in November of every calendar year and due by January 1 of each calendar year. If you dues are not paid by January 1 of each calendar year, your membership may be cancelled and is subject to a $50.00 re-enrollment fee. If you cancel your membership in the middle of the year, we will prorate your dues; however, any monies owed the plans exchange for copies or services must be paid in full. All copies are billed monthly and due upon receipt - if your account falls 45-days past due your copy privileges and/or membership may be revoked until your account is paid in full. The Missoula Construction Council allocates monies for a scholarship fund available to the Missoula Plans Exchange Member Firm's employees and children. Applications packets are typically available in March or April each year. Click here to download the application.